Galatasaray have reached a deal with Kasimpasa over the transfer of Mbaye Diagne. Sources close to Galatasaray revealed to Turkish-Football that talks were held directly between the club presidents. An agreement was struck last night and the club are expected to release an official statement later today. 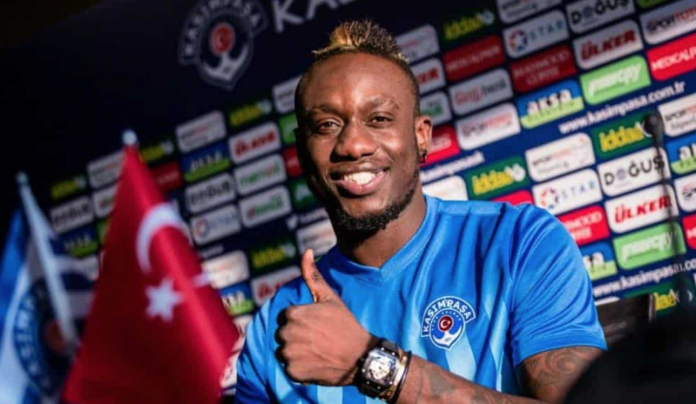 Diagne had been targetted by Leeds United, Reading and Hull City [Turkish-Football] over the summer transfer window. Leeds had been keeping close tabs on the 28-year-old who was could not complete his move to England as a result of not having a work permit. Galatasaray are also on the verge of signing Kostas Mitroglou on an 18-month loan from Marseille. The Lions have a plan B if either transfer falls through at the last hurdle. Schalke 04 forward Franco Di Santo is currently in Istanbul after initially being told Galatasaray wanted to sign him. Di Santo traveled to Istanbul after being told an agreement had been reached but this was before the latest development regarding Diagne. As a result, Di Santo has been left in limbo over his future with Galatasaray yet to inform him whether they will go ahead with the transfer. The Lions also made Celta Vigo an enquiry over a loan move for out-of-favour winger Emre Mor. Galatasaray manager Fatih Terim has worked with Mor in the past during his time in charge of the Turkey national side. Anderlecht meanwhile, have improved their €3m offer for 18-year-old winger Yunus Akgun, including a 15% future sale clause. The Yellow-Reds have yet to make a decision regarding Akgun, the offer remains on the table. Galatasaray have already sold one academy product this window after Stuggart signed 18-year-old Ozan Kabak on a €11m move.